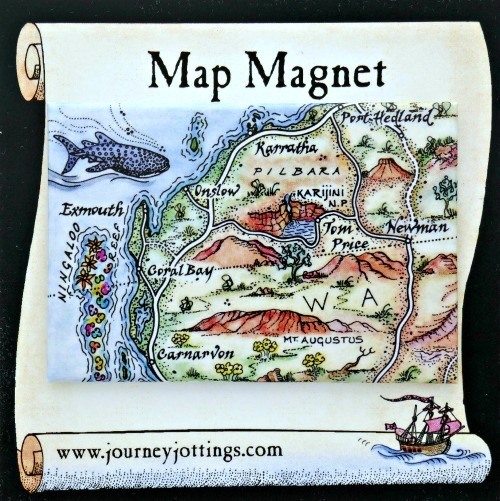 Each magnet is presented on a ‘scroll’ motif backing card (illustrated on the right) and is pressed out of tin, with a super magnetic backing to hold firm to your fridge door. 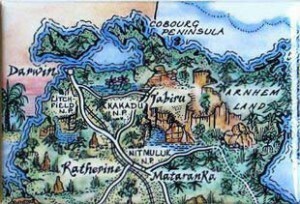 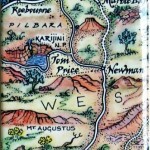 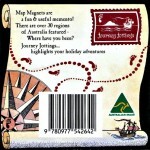 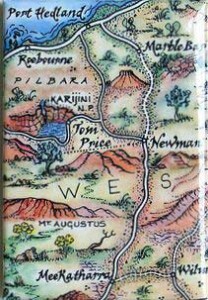 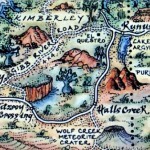 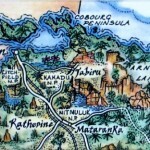 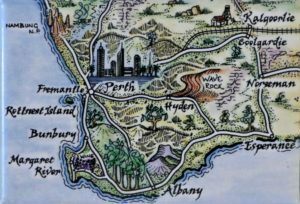 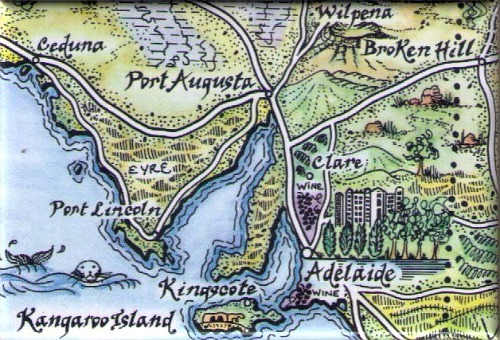 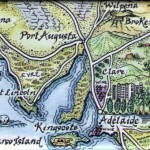 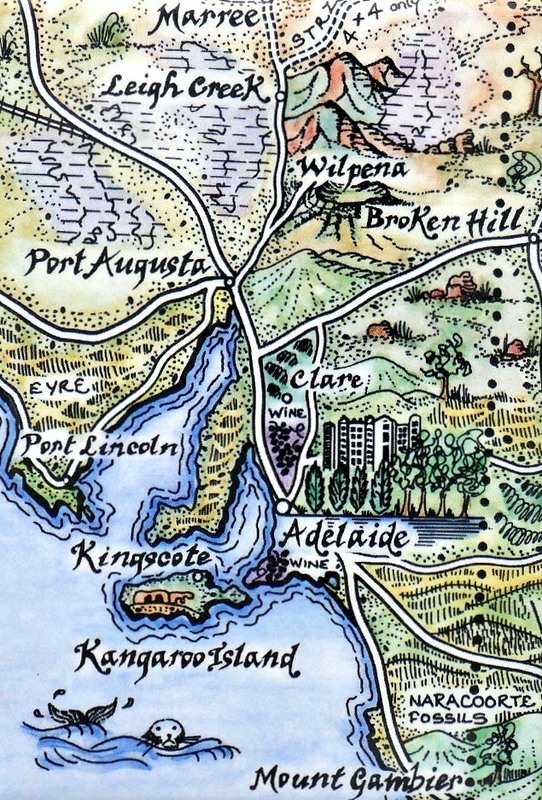 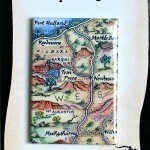 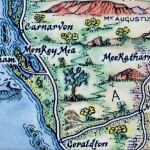 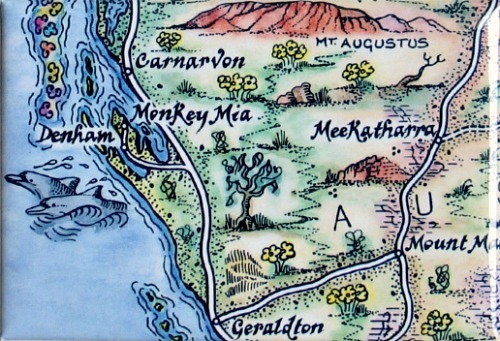 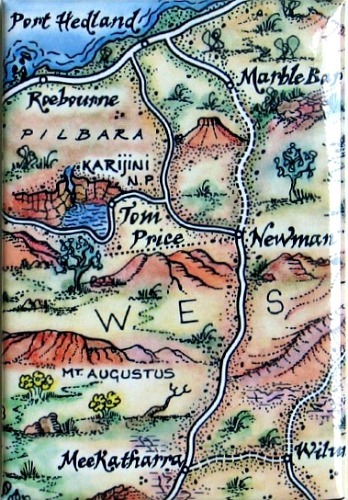 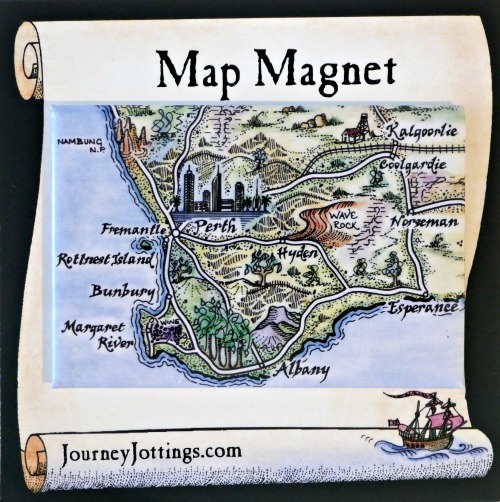 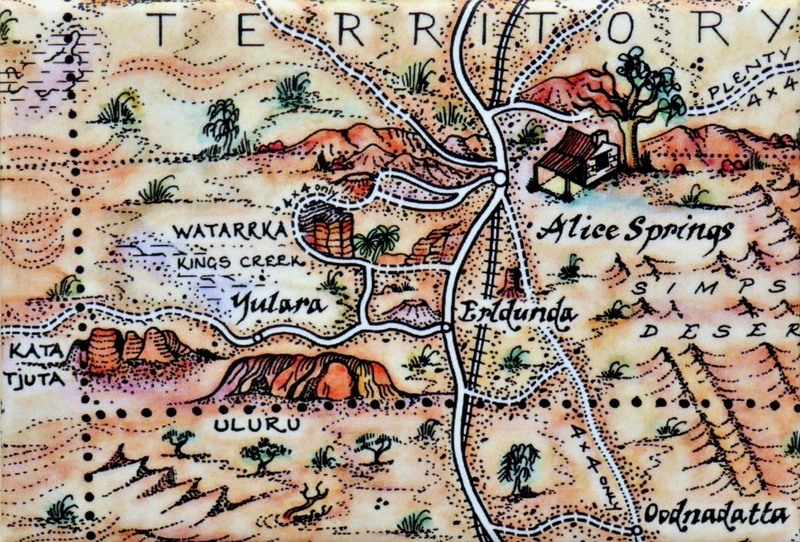 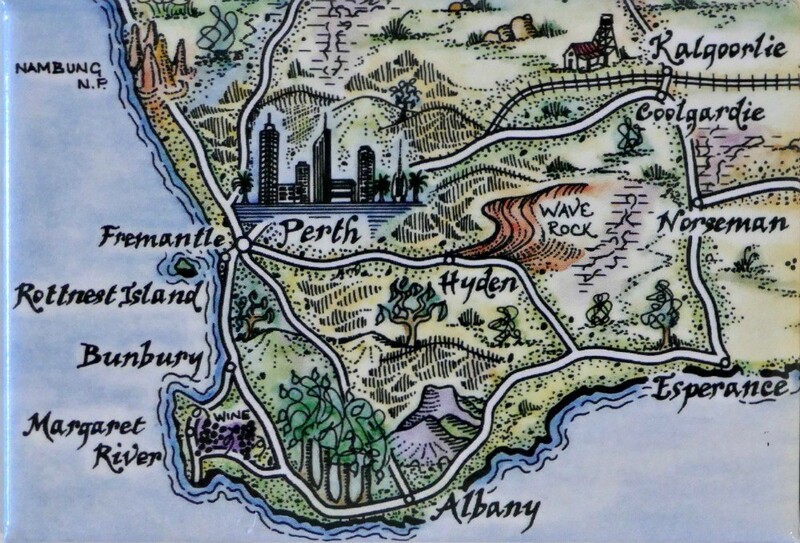 You are currently on the Western Australia Map Magnets page. 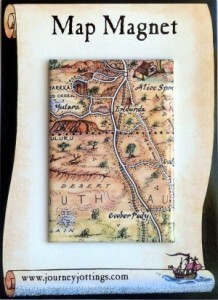 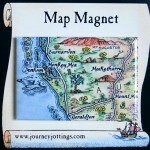 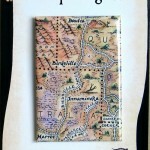 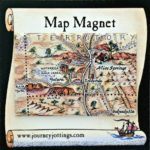 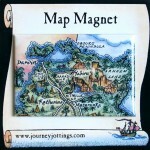 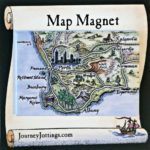 Click here to view Eastern States Map Magnets. 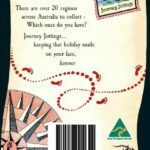 In the Top End of Australia is the World Heritage Kakadu National Park and Litchfield with its magnificent waterfalls and swimming holes. 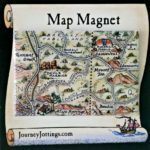 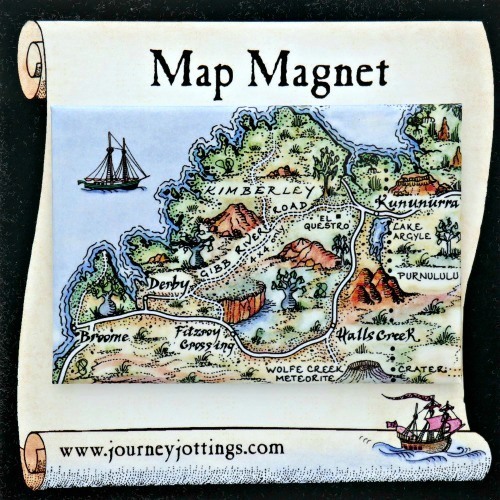 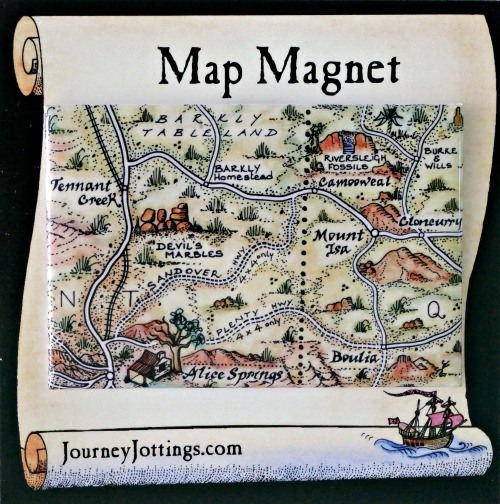 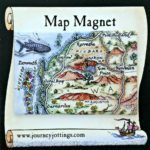 This Map Magnet image is 8cm x 5.4cm laminated on tin, backed with a super strong magnet, presented on a ‘scroll motif’ backing card, in clear hangsell envelope. 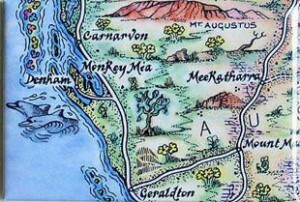 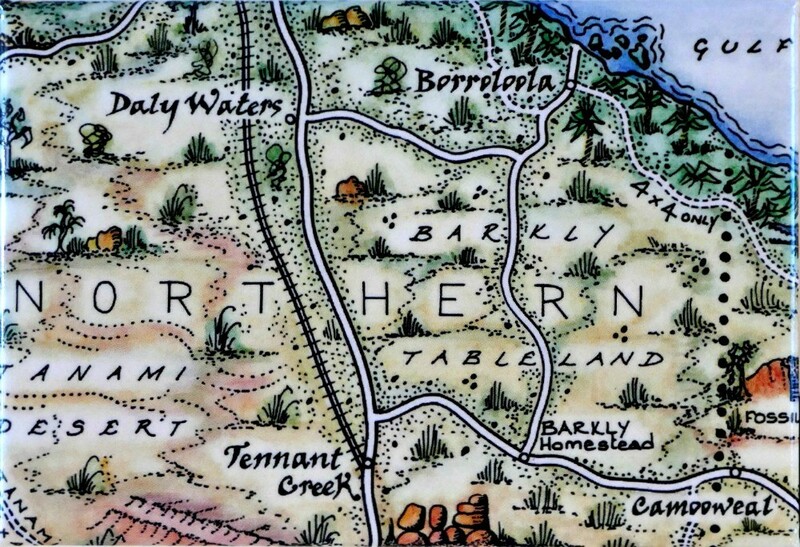 No trip down ‘the track’ (Stuart Highway) can miss the ever so slight detour to visit the Daly Waters Pub! 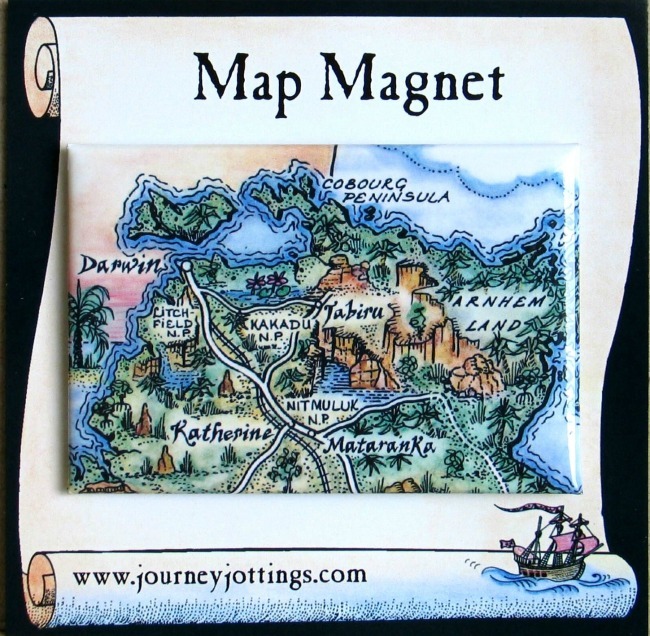 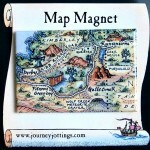 This Map Magnet image is 5.4cm x 8cm laminated on tin, backed with a super strong magnet and presented on a ‘scroll motif’ backing card (illustrated on the left), in clear hangsell envelope. 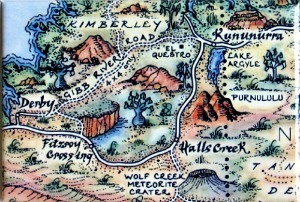 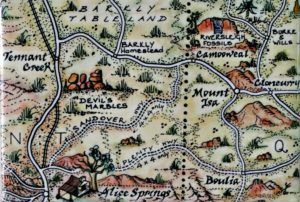 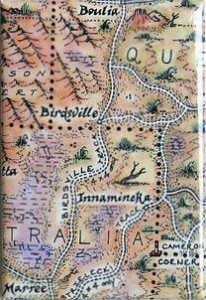 The Kimberleys in the north west of Western Australia is full of wondrous delights.. Purnululu National Park (Bungle Bungles) and Boab (bottle) trees. 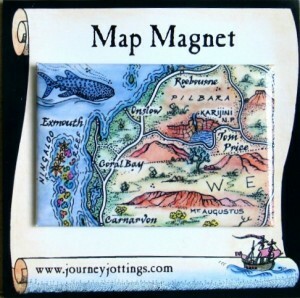 This magnet image is 8cm x 5.4cm laminated onto tin and backed with a super strong magnet. 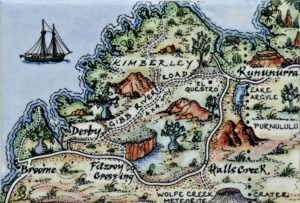 The old pearling town of Broome is in one of Western Australia’s most remote locations on the far north-west coast. 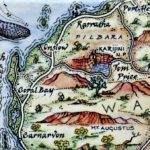 The gorgeous red Pilbara region in Western Australia is home to the Hamersley Ranges and Karajini National Park, with its stunning gorges. 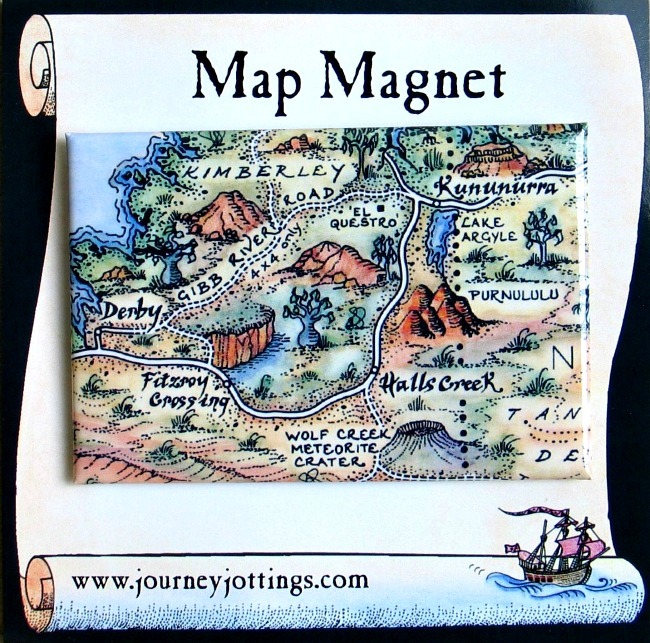 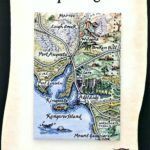 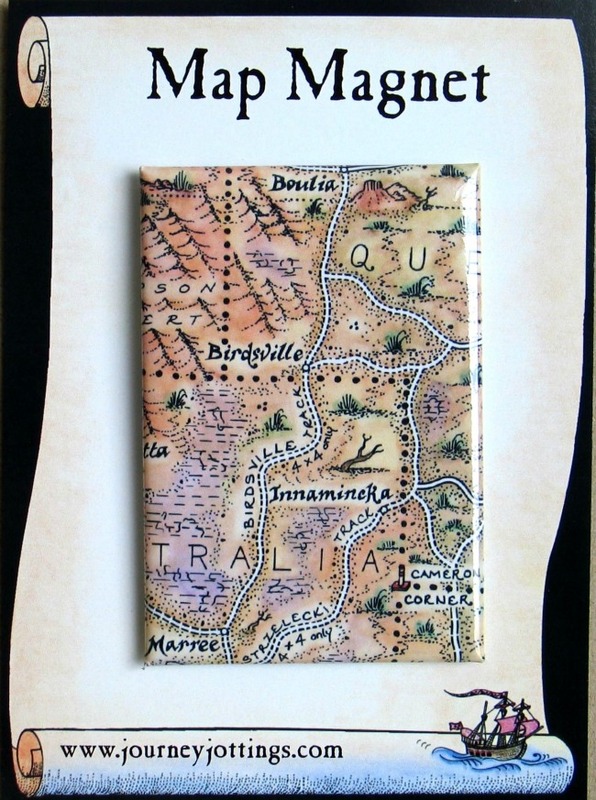 This Map Magnet is a 5.4cm x 8cm image laminated onto tin and presented on a ‘scroll motif’ backing card, in clear hangsell envelope. 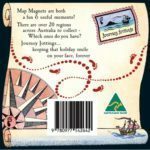 Ningaloo Reef is where you can swim with whale sharks! 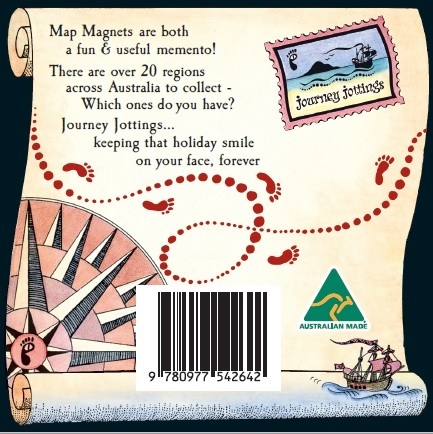 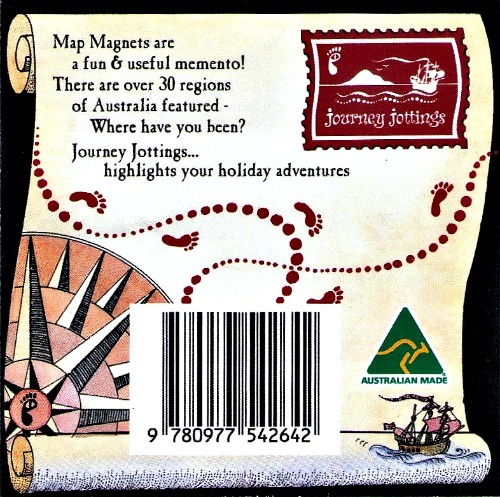 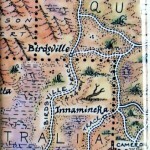 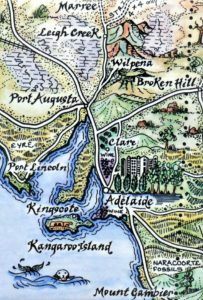 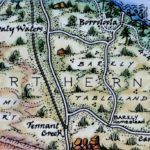 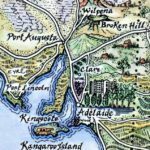 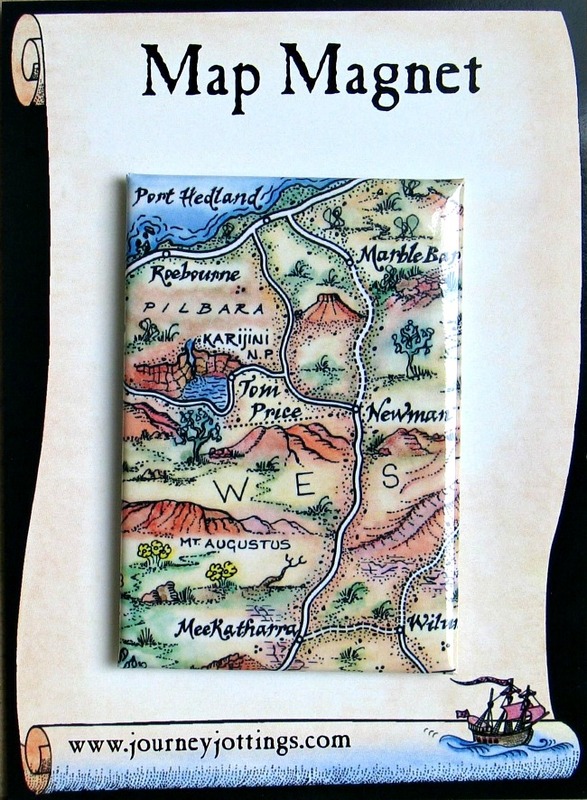 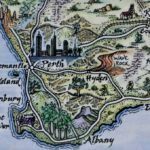 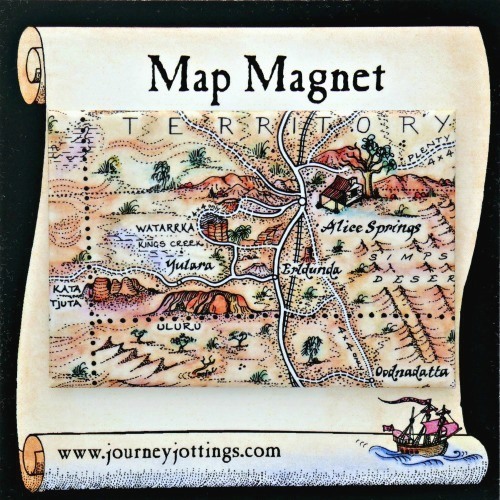 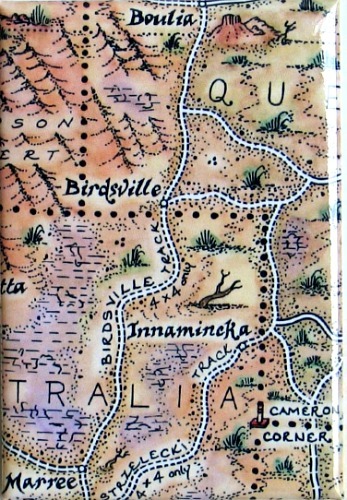 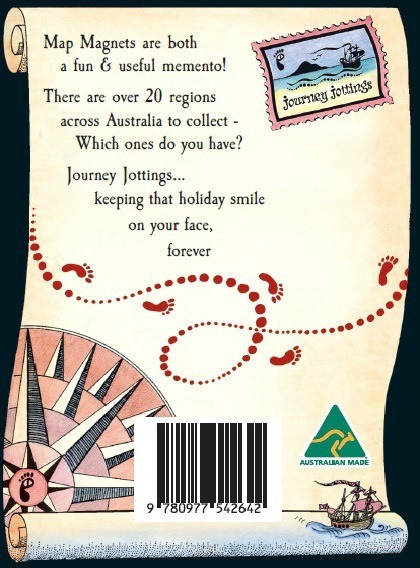 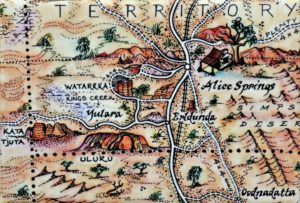 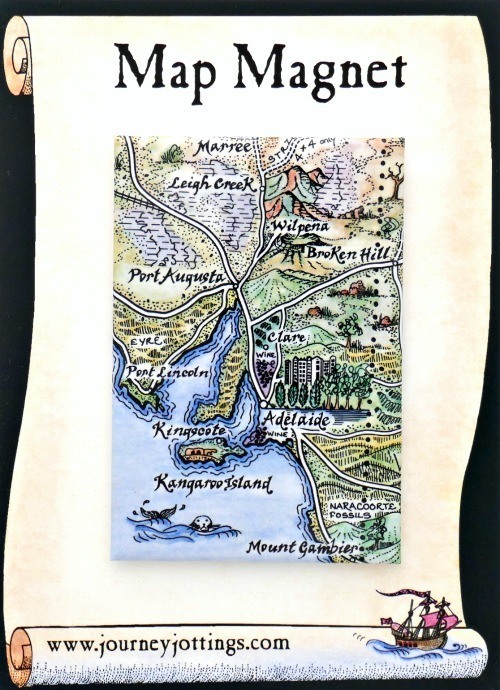 This Australia Map Magnet image is 8cm x 5.4cm laminated onto tin, backed with a super strong magnet – Each magnet comes on a ‘scroll’ motif backing card, presented in a clear hangsell envelope. 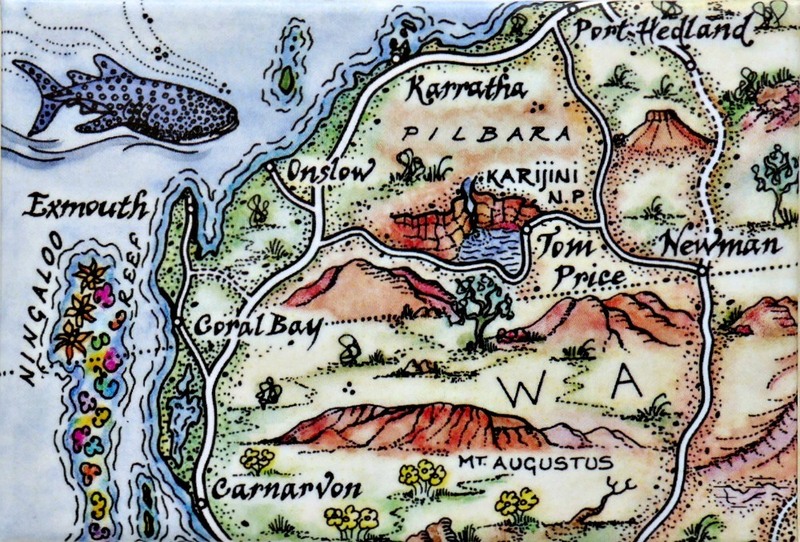 The wild flowers in this region in the spring are gorgeous. 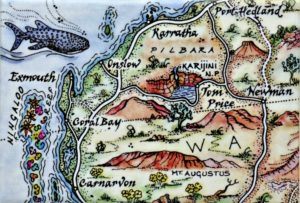 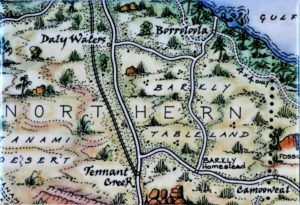 The South West of Western Australia is famous for the wineries at Margaret River, the magnificent Jarrah forest and Wave Rock. 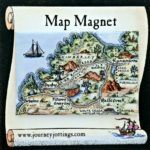 This magnet illustrates them all! 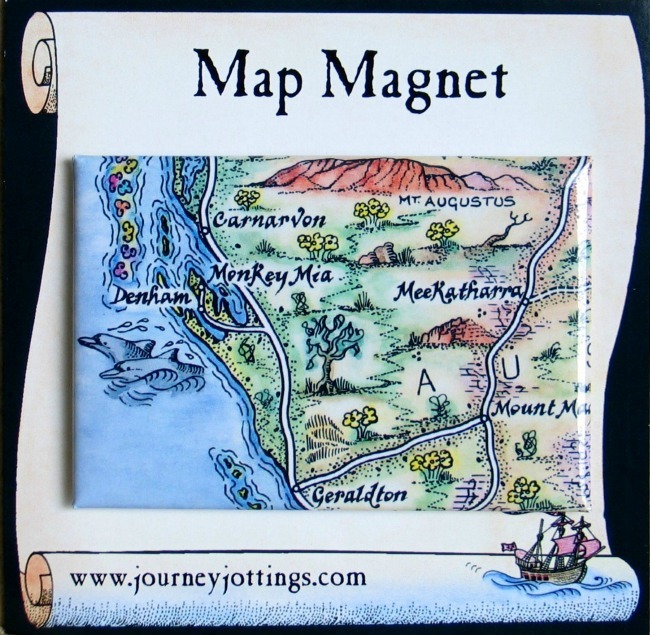 8cm x 5.4cm laminated onto tin and backed with a super strong magnet it is presented on a ‘scroll’ motif backing card, in clear hangsell envelope. 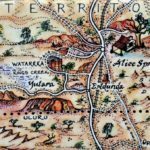 The Nullarbor is the remarkable tree-less plain, which at its widest point stretches 1,100 km between South Australia and the West of Australia. 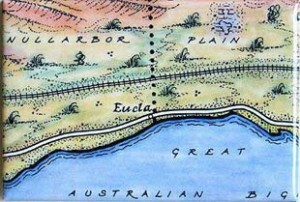 Famed for having the world’s longest straight section of railroad – 478 kilometre (297 miles).